Satisfy your early morning tastebuds with our Complete Colazione Package. 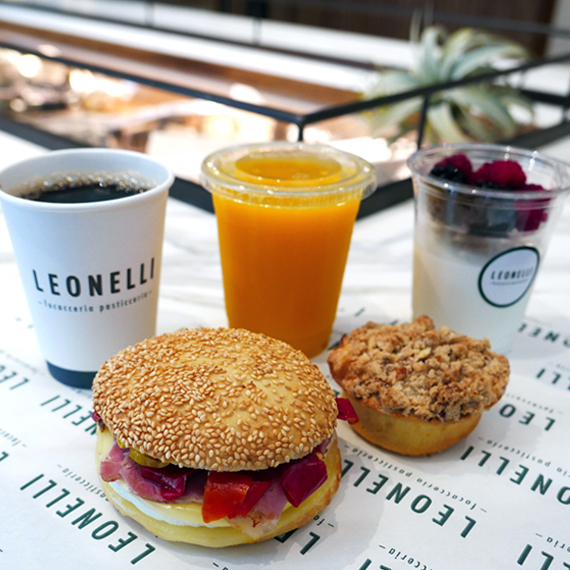 Wake up to a fresh selection of breakfast fare from Leonelli Focacceria e Pasticceria, the inspired Italian bakery and café at The Evelyn. Book this offer to receive your choice of gourmet breakfast sandwich or yogurt parfait, coupled with a savory pastry, coffee, and freshly squeezed juices.